Leeds Under-23s finished off their title-winning season with a 2-2 draw against Crystal Palace on Monday afternoon, and fans were delighted after 17-year-old Mateusz Bogusz scored a fantastic goal to give his side a second-half lead. Leeds couldn’t hold on, with Palace equalising in the 85th minute, but that’s 11 unbeaten, the PDL North title is already theirs and they’ve got a cup semi-final coming up against Newcastle next week (a team they already beat 3-1 in the group stage). It’s been a good season. 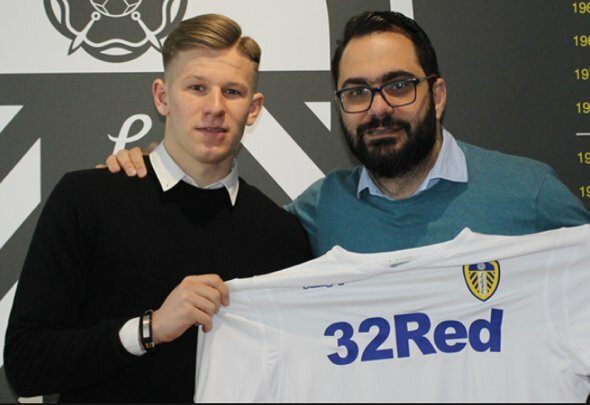 And it’s been a good second-half of the season for Bogusz, who has been living up to the chatter that surrounded him when he signed for Leeds in January. He’s an attacking midfielder who can play the no.10 position, and he looks supremely confident. For a 17-year-old who’s just left his home country behind for the first time, it’s been a highly successful first few months. He’s not afraid to run with the ball either. He picked the ball up today on the left and beat two Crystal Palace players before slotting the ball home and we think he’s a player who’s going to be knocking on the first-team door sooner rather than later. Bogusz is gonna be a quality player.